The year is rushing past and already we are into the downward slide towards Christmas. Sorry to mention the ‘festive’ word here but even though it may be business as usual, as England do their expected bit in the World Cup and Andy crashes out of the tennis, I am here busy writing and testing Christmas vegetarian recipes for Waitrose and trying to think about warming comfort food as the temperature outside is rising. So much for cooking with the seasons! 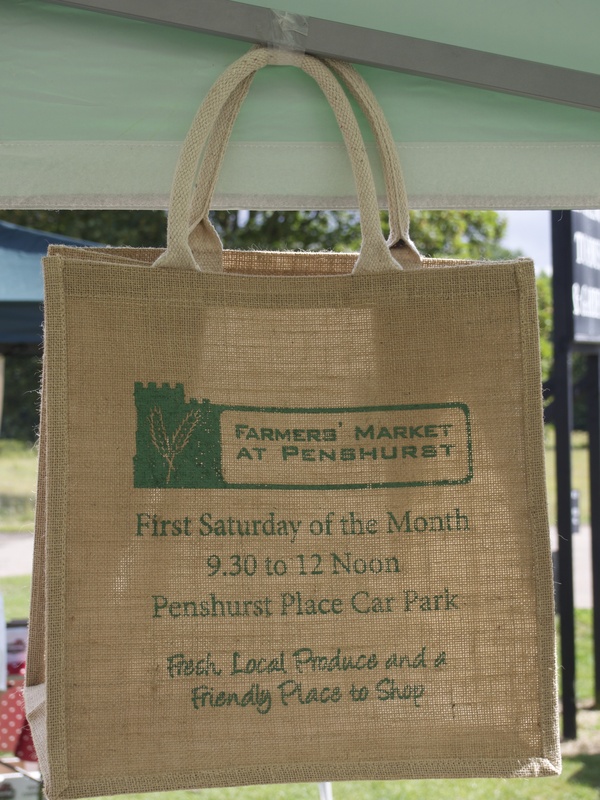 But at least I can turn to the joys of Penhurst market this weekend, and plan some real summer pleasures. The wet of the winter followed by a warm April and plenty of sun and rain since has brought about a cornucopia of seasonal treats with which to fill my basket. I’ve missed the last two markets so am feeling the need to treat myself to some good Kentish fare. And I’m going to be spoiled for choice, and won’t have to slave away in a hot kitchen to get a meal on the table. At this time of year, everything is so good you can follow the less is more precept and keep preparation and cooking to the minimum. Amongst an abundance of produce at this month’s market, you’ll find tender BROAD BEANS (freshly picked little pods can be enjoyed whole), fresh GREEN PEAS, radishes, spring onions, spinach, and of course, new potatoes. Cucumbers, beans and courgettes should be there alongside all kinds of salad leaves and great bunches of fresh herbs. The wet and warmth has been good for STRAWBERRIES so indulge yourself with the best of the British summer fruit all at its peak this month. You’ll discover a completely different experience from the pale imitations that can be found all year round in supermarkets. I wonder if it’s just me but the fruit I’ve been buying this year is so perfectly ripe and such good quality that I’ve been able to pull out the hulls in one go, just as I remember doing as a child. Serve with rich golden pouring cream from cattle fed on the lush summer grass and a sprinkling of sugar – add a grounding of black pepper to really enhance the flavour. 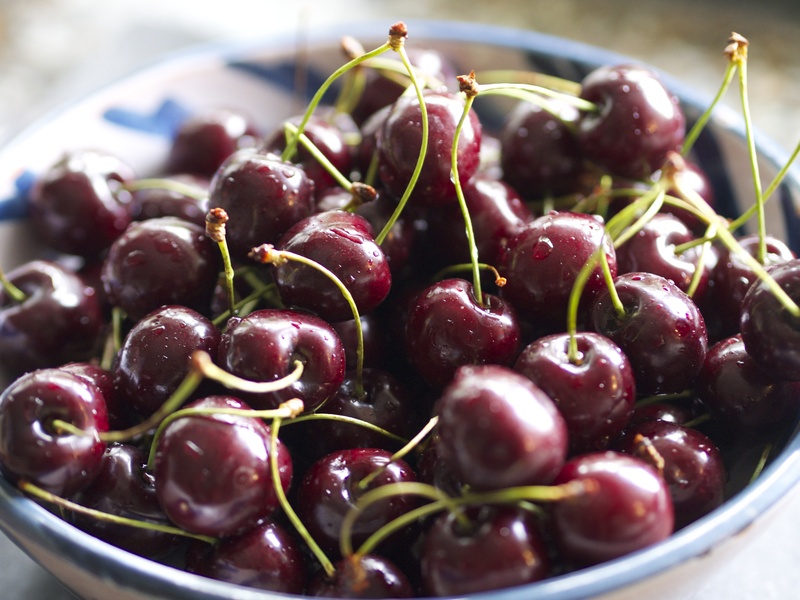 And don’t miss out on CHERRIES with the season in full swing (Kentish cherries are justifiably world famous), gooseberries, CURRANTS, and wonderful raspberries. With such a glut this really is the month for making jams and preserves, and you don’t have to make huge vats of the stuff – just a few jars are incredibly satisfying to produce and make wonderful gifts. Grass fed summer LAMB is now at its very finest and, as a more fatty meat than some (giving it the flavour and keeps it from drying out), is ideal for the BBQ. A boned-out leg or shoulder can be marinated overnight (See recipe below) and cooks perfectly in under an hour. Or try cubed lamb for kebabs. On the fish front CORNISH SARDINES are all the rage now – as they should be (the pilchard has had a welcome change of image to reappear in shopping bags as ideal bbq fodder!) And look out for MACKEREL – bought silvery fresh from the market and cooked the same day to enjoy at its very best. Midsummer is a great time to enjoy CRAB – all you need to make a feast is to serve dressed crab with simply buttered new potatoes and good mayonnaise, home made if possible. Serve with a chilled glass of one of the excellent English white wines that are now coming onto the market, such as the award winning Ortega from Biddenden Vineyards (I know I go on about it but I’ve just had a bottle with a great meal at Wyatt & Jones in Broadstairs which reminded me of just how much I like it!). Planning a picnic couldn’t be easier – there are plenty of wonderful baked goods such as quiches and pies, pates and Scotch eggs in flavours the Hibernians have never imagined. (I’m sure someone must do a haggis version which I would love to try!). A selection of cheeses, peeled prawns to dip into mayonnaise, some good ham and a local chutney, good bread and a bowl of cherries – simple but wonderful. I’ve started writing regularly for Waitrose Weekend paper again after a break and have recipes in this weekend 3rd July and next, and I’m really pleased with them. This recipe is out next weekend and is a perfect picnic dish. Cook the potatoes in a pan of water for 12 -15 mins or until tender. Drain, cool until able to handle then slice thinly. Cook the peas and broad beans in boiling water for 2 minutes then drain and refresh under cold water. Drain again. Whisk the eggs with the milk, parsley, mint and seasoning. Heat the oil in a 23cm non-stick frying pan over a medium heat. Add the potatoes and spring onions and fry for about 3 – 4 mins, until they start to turn golden. Add garlic and cook for another minute. Stir in the peas and broad beans. Preheat the grill. Pour the egg over the vegetables in the pan and scatter over the feta. Cook over a gentle heat for 10 -12 mins until almost set and golden on the base. Put the pan under the grill and cook for 3-5 mins until the top is golden and cooked through. Serve cut into wedges with a tomato salad. 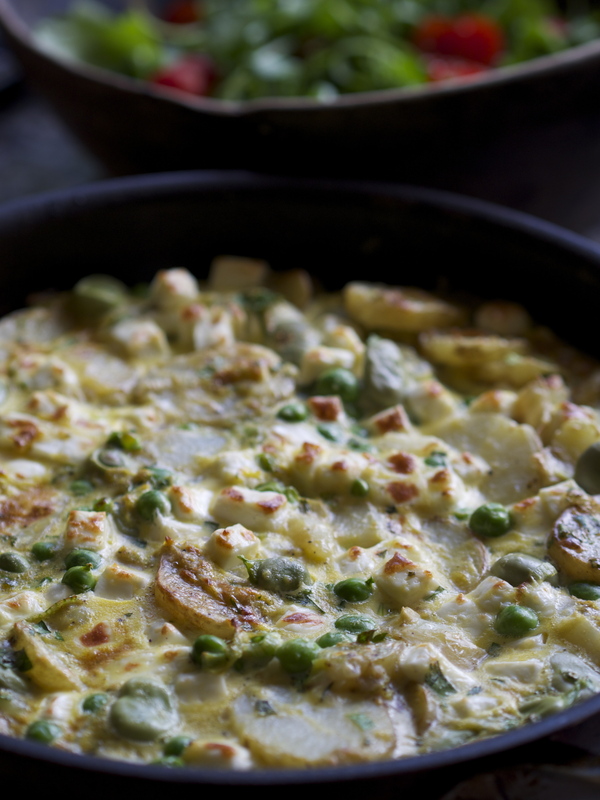 This entry was posted in Farmers Market, In season, Kent, Local food and tagged broad bean recipes, farmers markets, frittata, in season, Kent, Kent farmers markets, Penshurst, Penshurst farmers market, recipes, summer eating. Bookmark the permalink.